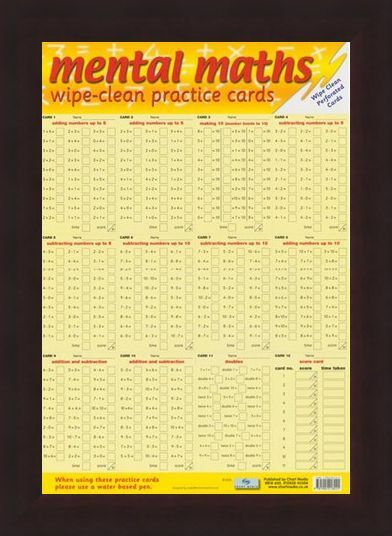 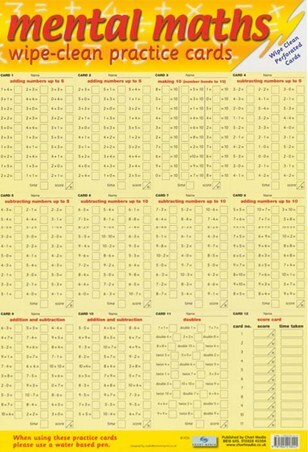 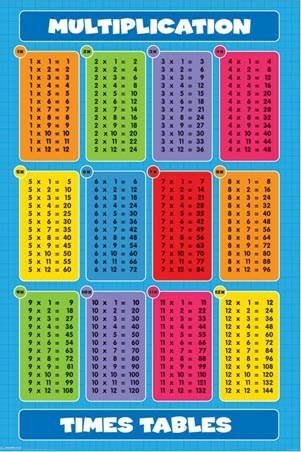 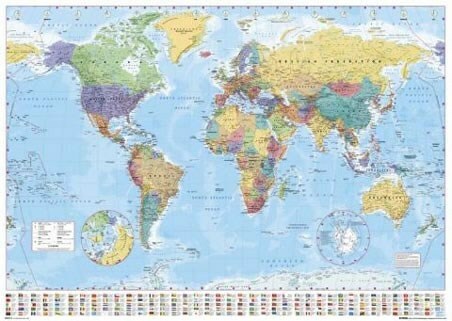 Mental Maths Mini Poster: This glossy mini poster is more than just a poster, it is made up of 12 perforated, wipe clean cards that your child can practice on over and over again. 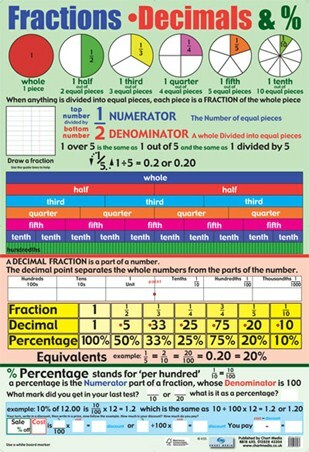 Maths is a core subject taught in schools and there is no better way to help your child learn at home than with these colourful new cards. Each has a range of questions including addition, subtraction, doubles and number bonds as well as a card to keep a note of their scores on each section. 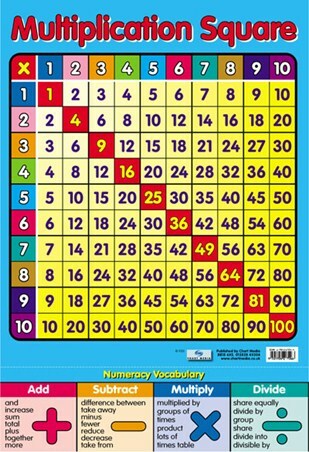 Work books can get tedious for young minds, so why not treat them to something educational and exciting today so that they can become a little Einstein tomorrow. 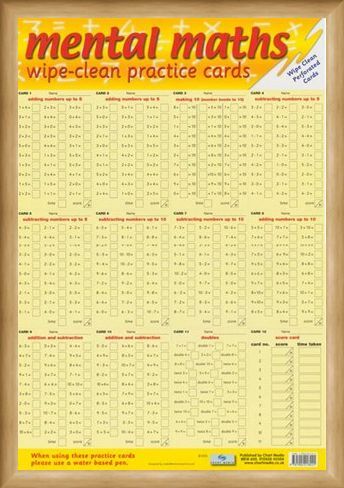 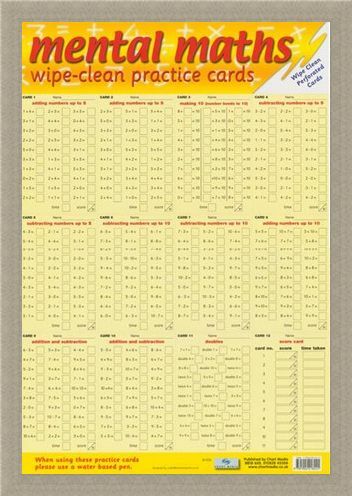 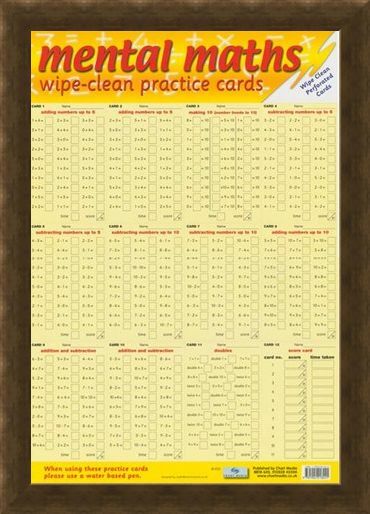 High quality, framed Mental Maths, Wipe Clean Practice Cards mini poster with a bespoke frame by our custom framing service.